The beauty evolution of the British music superstar. I&apos;m sure I&apos;m not the only one who has noticed how Adele&apos;s style has evolved, after first stepping into the spotlight in 2007. With her third album out and an upcoming world tour, it&apos;s perfect timing to examine her beauty retrospective. 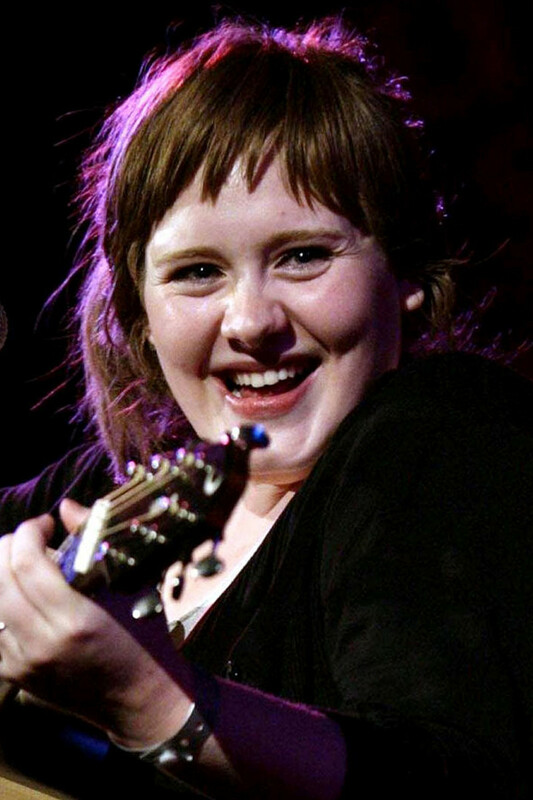 Adele at a 2008 Union Chapel performance. Our journey starts in 2007, when Adele was 19 years old. Baby bangs, un-tweezed brows and natural hair colour... I kinda love it! But mostly because she looks SO happy to be on stage performing. 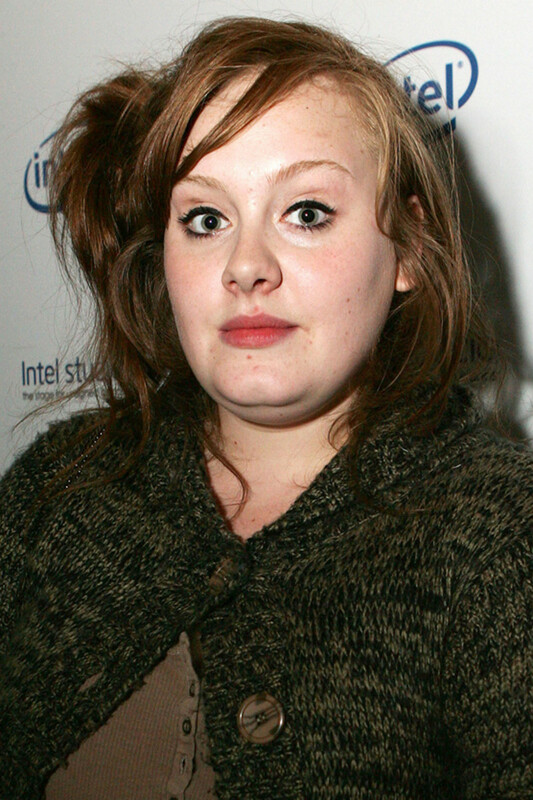 Adele at the 2008 Intel Unsigned Band Competition. By 2008, the bangs had grown out... but the rest of the hairstyle was very "bedhead chic." Here we can also see the beginnings of her cat eye fixation, albeit on foundation- and concealer-free skin. Adele at the 2008 Keep a Child Alive Black Ball. Now, gradually she starts to get a lot more polished: darker, warmer, mid-brown hair with a lash-grazing bang trim. Grown-up earrings. Heavier blush and liner. And false lashes. Crikey, does this woman love her false lashes! 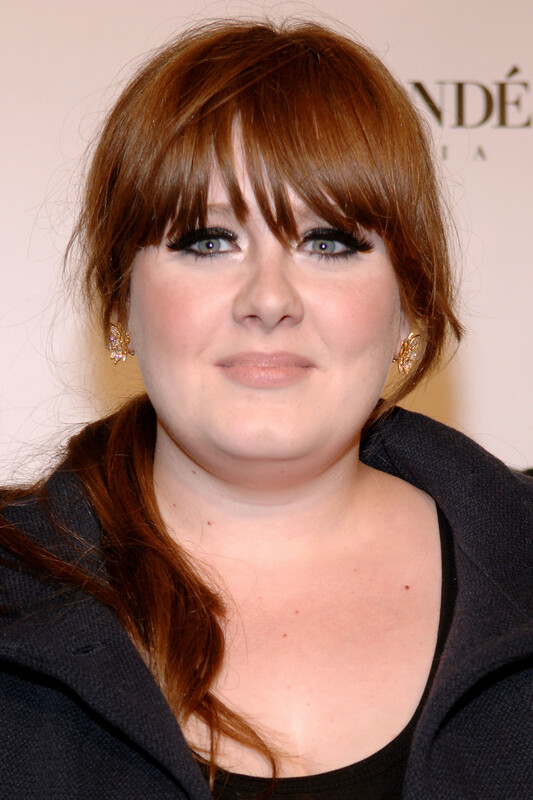 Adele at the 2008 Mercury Prize Awards. Did you know? At one point, Adele worked a long brunette look. I don&apos;t know if this hair is real or fake, but she sure has a lot of it! I feel like this is way too campy, like she could be an extra in Hairspray. Adele at the 2008 Brit Awards. 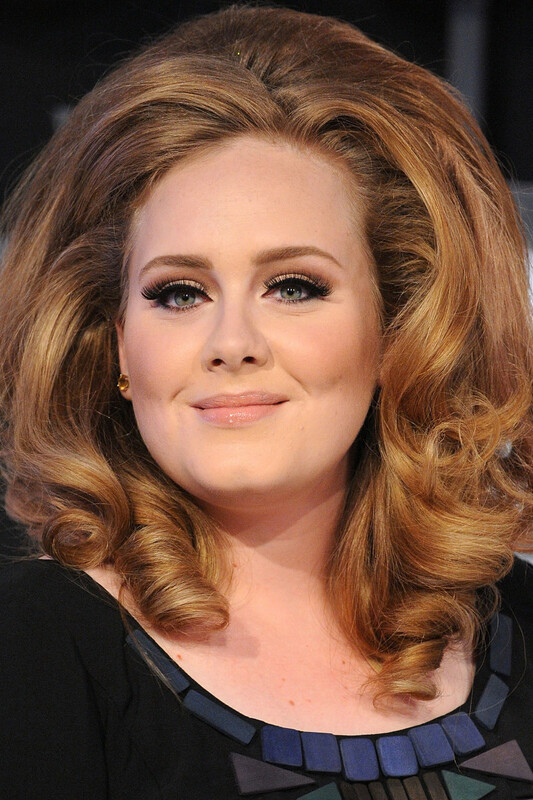 Adele at the 2011 MTV Video Music Awards. It&apos;s Barbarella hair! I&apos;m exhausted just thinking about how much work was involved in getting this kind of volume, thickness and curl. But it does look super-glam, especially in the blonder hue, with fuller brows and more sophisticated makeup. She almost gets away with the false lashes. Almost. 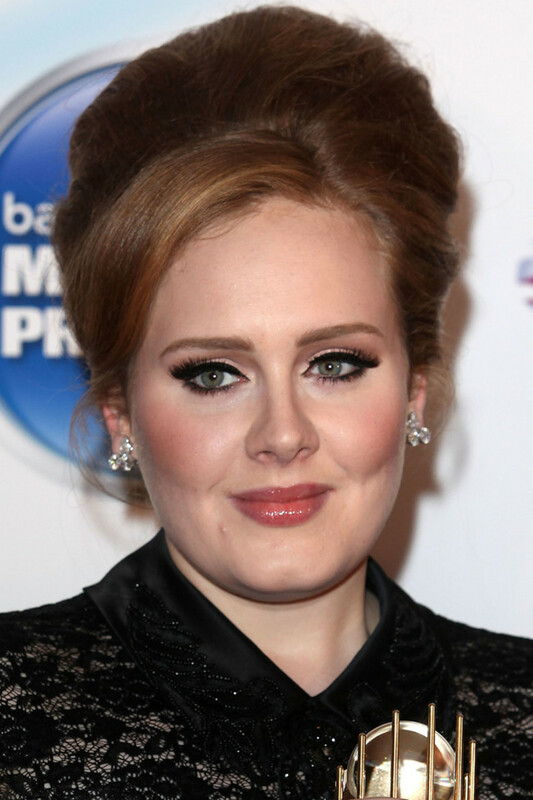 Adele at the 2011 Mercury Prize Awards. Adele&apos;s 1960s vibes continued with this bouffant updo. On anyone else, I&apos;d say this hairstyle was way too "done." Like it&apos;s literally straight out of the &apos;60s, not even modernized. 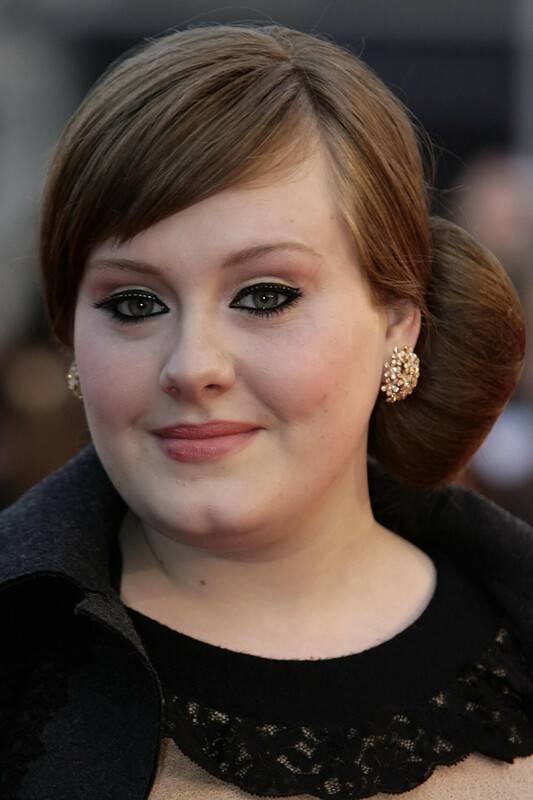 But these hairstyles kinda became Adele&apos;s thing for a while, and I suppose she carried them well, all things considered. For makeup, I have the same thoughts—she somehow gets away with wearing more of it. That said, it&apos;s too much blush and the lashes are too heavy. Adele at the 2012 Grammys. By 2012, her blondification was complete. I really like this lighter colour with her skin tone; it also has more "star power" if you know what I mean. Her styling got another upgrade, because the hair and makeup are much more classic now. Who doesn&apos;t look good in a big wavy lob, long lashes and red lipstick? This is so Marilyn Monroe. Adele at the 2012 Brit Awards. She rocked the same look here, but with pink lips and cheeks. I feel like something might have happened by now to her nose—as in a surgical procedure—or at least there was speculation about that. It&apos;s hard to say because she was using so much contour, and makeup in general! Adele at the 2013 Golden Globes. Darn... back to the semi-dated &apos;60s updos! The fact that her highlights are so thick and stripey is not helping. But there&apos;s a mega-improvement on the blush front. 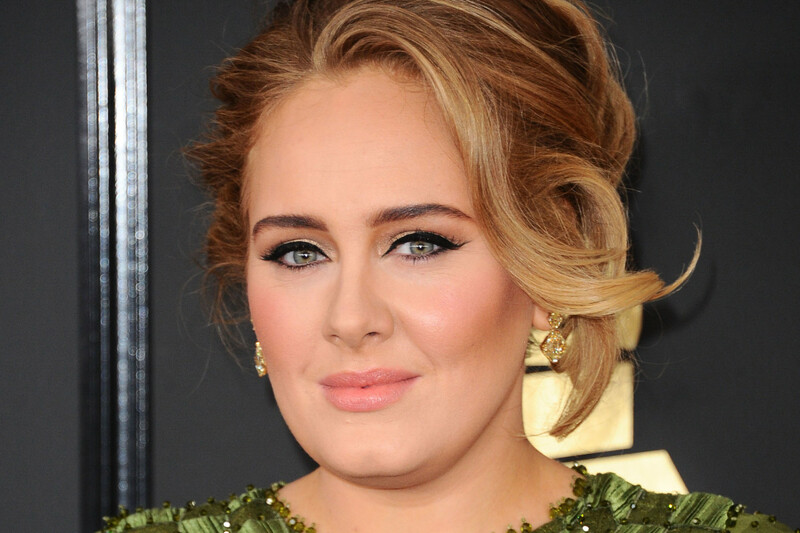 Adele at the 2013 Grammys. Then she did this softer updo. I like that this isn&apos;t so perfect. But those giant insect-like false lashes, I need to un-see! Adele at the 2013 Oscars. For the Oscars, she let her hair down. Pretty darn gorgeous, even with the major bouffant action! While I&apos;m still not a fan of the dye job (it looks a bit dry), I love that her hair is so brushed-out and touchable at the ends. Her blush, lips and brows and all lovely and soft here, too. Alas, she just can&apos;t quit the falsies. 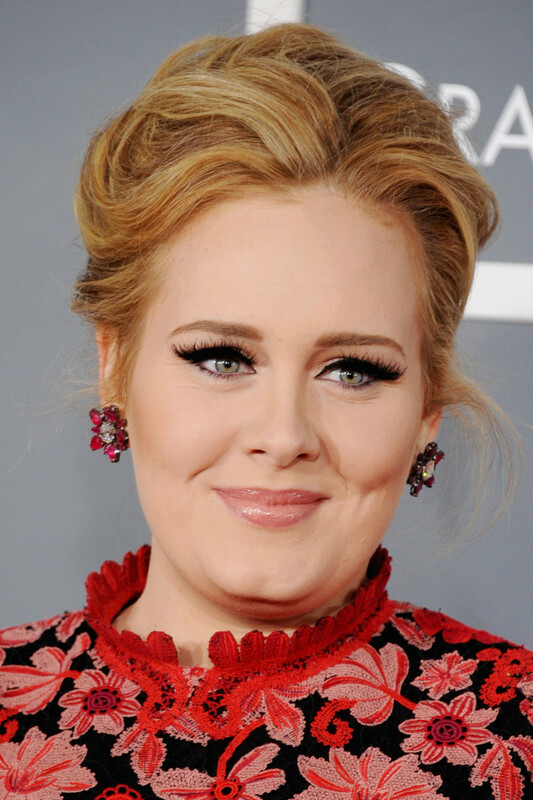 Adele at the 2013 Music Visionary of the Year Award Luncheon. Now, here&apos;s a surprise look you probably weren&apos;t expecting—a messy milkmaid braid! I like this so much—very refreshing and effortless after her stiff awards season looks. The soft makeup is also beautiful, with the glaring exception of the cray lashes. A few individual flares are fine at the outer corners, but this is just going too far! 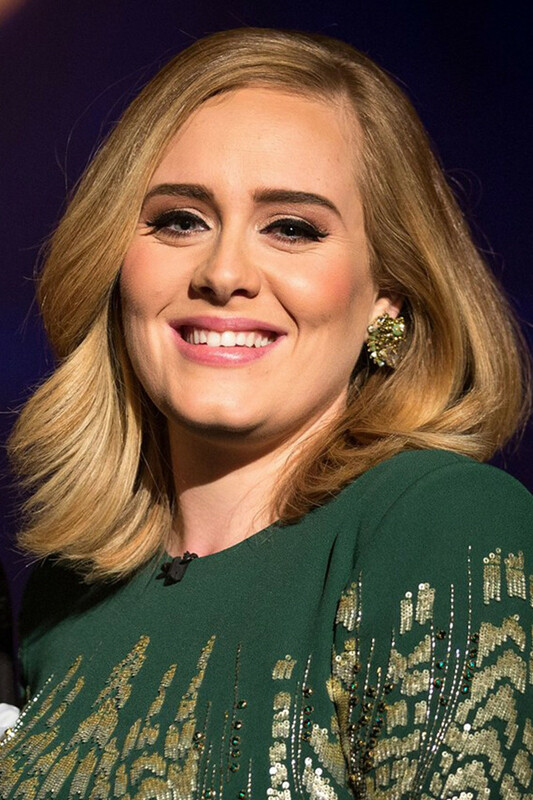 Adele on &apos;Adele at the BBC&apos; in 2015. Fast-forward to fall 2015 and she had a whole new look again. Gone are the updos and bouffants; they&apos;ve been replaced by a swingy long bob in a deep side part. Brows got amped up and lashes toned down. I&apos;m liking this! Now, I&apos;m not 100 percent sure about her nose, but her smile looks the same as always... no veneers. Adele on &apos;The Tonight Show Starring Jimmy Fallon&apos; in 2015. Wow, right? Once again, I would not have recognized her. The textured hair is a total style departure, and so is the lighter hand on the makeup. My other observation? Brows can really change a face. 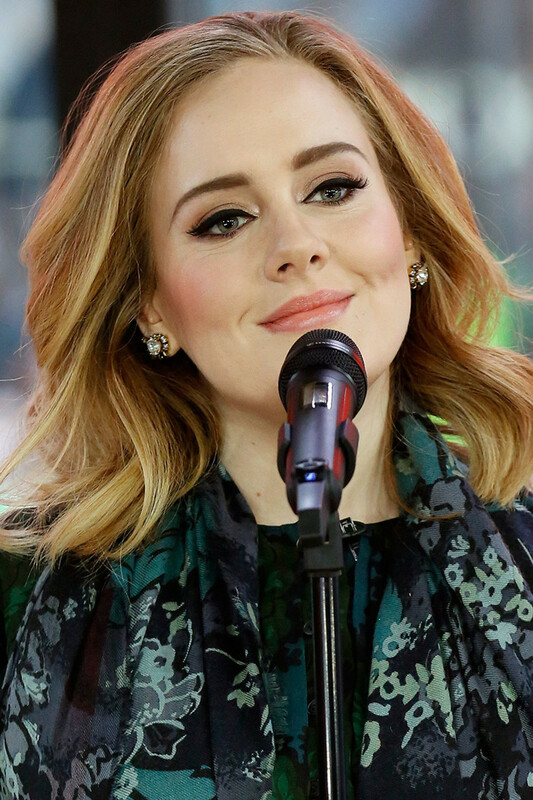 Adele on the &apos;Today&apos; show in 2015. Holy gorgeousness! I don&apos;t know about you, but I am so blown away. I love everything going on here, from the hairstyle and colour to the soft pink makeup tones, arched brows and black liner. 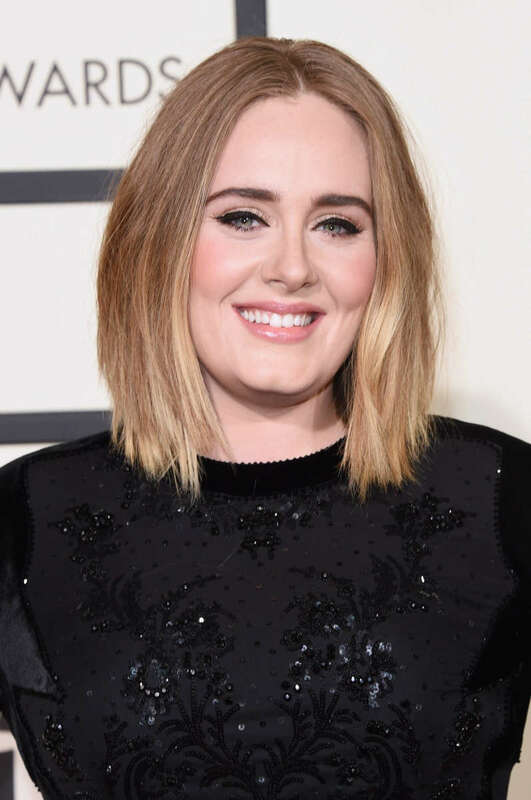 Adele at the 2016 Grammy Awards. I love this! The relaxed hair is more modern, and the softer makeup shows off her amazing skin and sparkly eyes. Adele at the 2017 Grammy Awards. So apparently, the shaggy bob wasn&apos;t Adele&apos;s thing. It&apos;s back to the voluminous wavy updos that she favoured back in 2013. (I seriously had to check that this photo was actually from 2017!) The makeup is also heavier, especially the contour, which makes her look older than her 29 years. 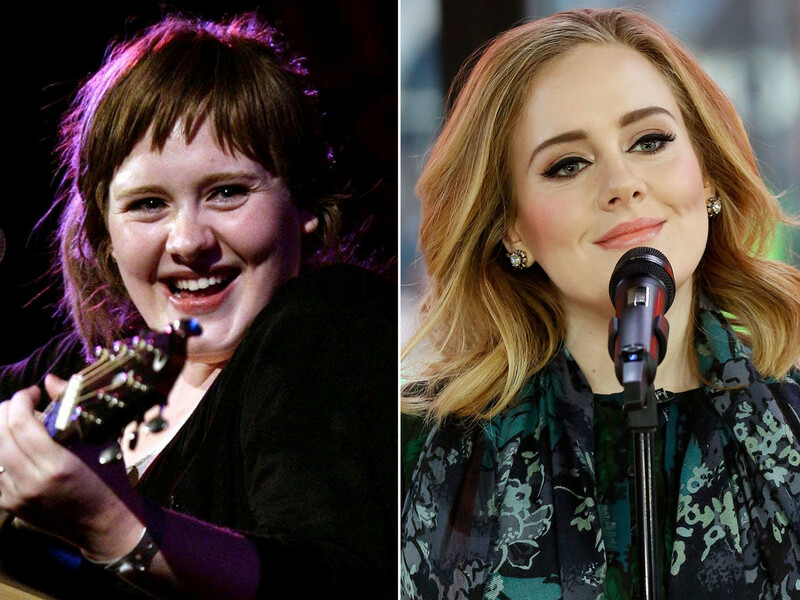 Adele in 2007 (left) and 2015 (right). 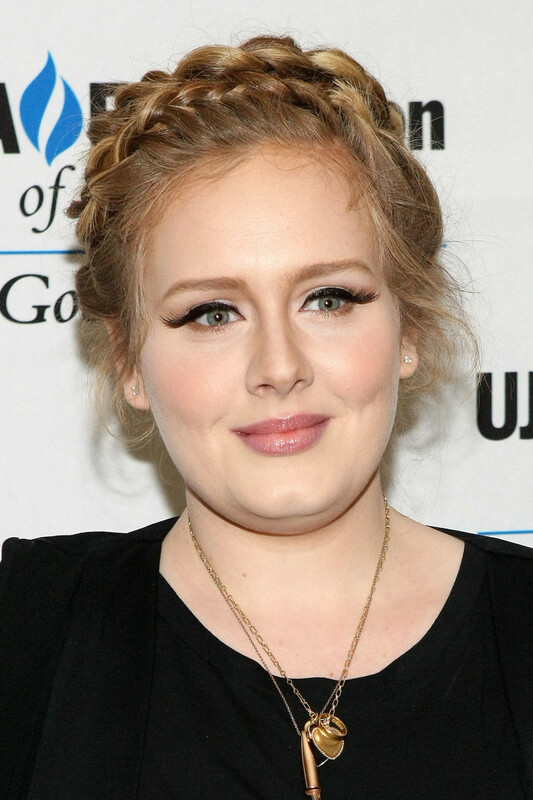 Obviously, some weight loss has been a factor in Adele&apos;s transformation. If she is indeed healthier now and feeling great, then I say that&apos;s awesome! 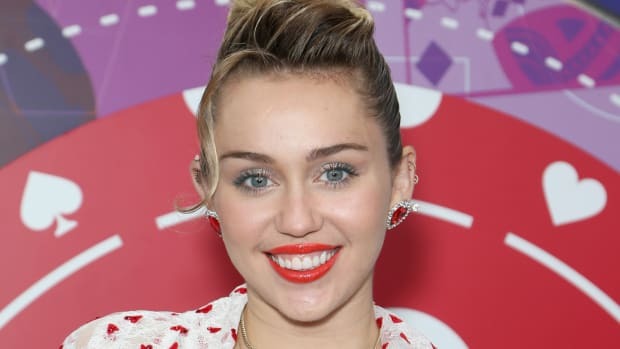 But I love that she is honest about size zero not being a real priority—"I&apos;m not, like, skipping to the f--king gym," she told Rolling Stone. "I don&apos;t enjoy it. And if I don’t tour, you’ll catch me back down at the Chinese!" But this transformation isn&apos;t just about weight loss. Pre-2015, Adele&apos;s red carpet looks were all pretty heavy, over-the-top and costumey. They were wearing her and not vice-versa. Now, she seems a lot more relaxed and comfortable in her own skin; I, for one, am appreciating her natural beauty. As for plastic surgeries... the one thing I question if she changed is her nose. It does look a little thinner and more sculpted now, but it&apos;s hard to say for sure given her weight loss and the contouring thing. Plastic surgeon Renato Calabria told Hollywood Life, "The tip of Adele’s nose is definitely more defined, which would suggest that she had a tip rhinoplasty." 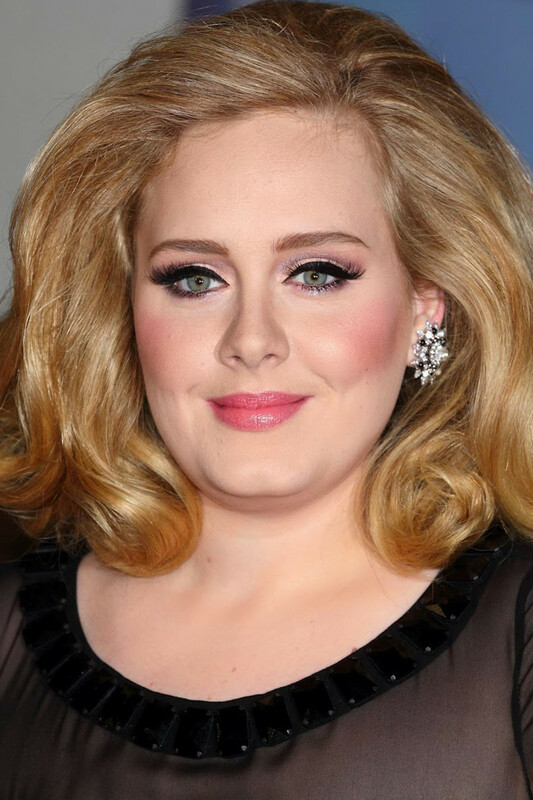 And Dr. Ramtin Kassir said, "It does indeed look as if Adele has had a rhinoplasty. The entire nose looks smaller, the tip is more sculpted and less droopy, and the overall form of the nose flows more smoothly." 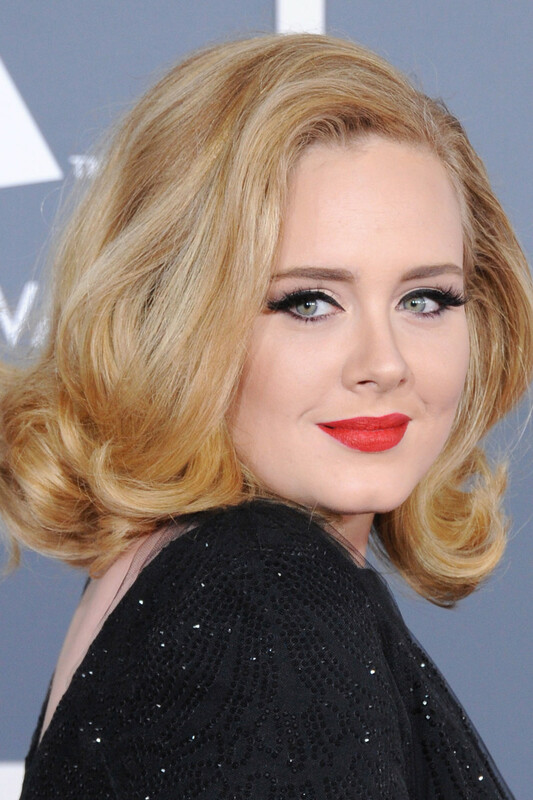 How do you feel about Adele&apos;s beauty evolution?